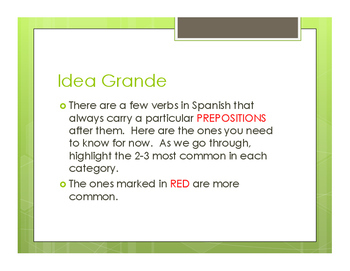 This activity reviews Spanish verbs that carry prepositions. 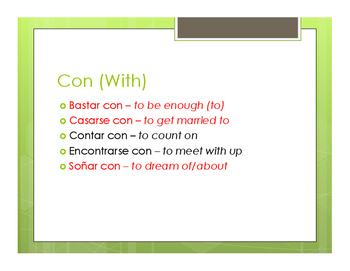 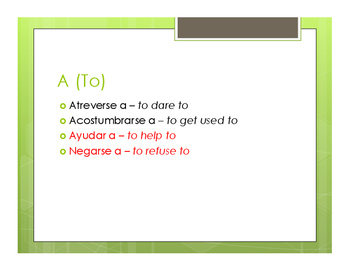 It focuses specifically on verbs that carry a, en, con, and de. 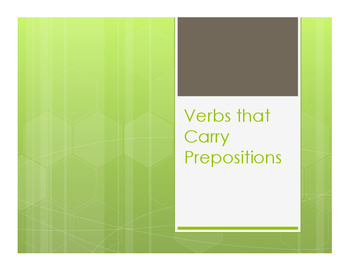 All my activities on verbs with prepositions use the same set of verbs, and they correlate with the verbs and prepositions in Avancemos 4 unit 1.